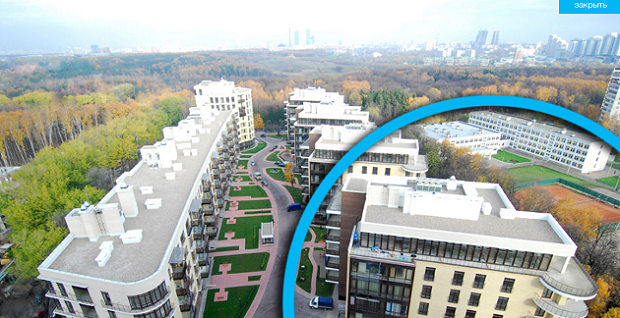 How is it possible for the extended family of Russian politicians and civil servants to get a $6.5 million apartment situated in the Moscow equivalent of millionaires’ row? That was the question that came to mind when we started investigating 15 Starovolynskaya Street and the Rogozin family. Dmitry Rogozin is Deputy Prime Minister and in charge of the Ministry of Defence. His son Alexei is deputy director of one of the departments in the ministry his father controls. For now let’s set aside the potential conflict of interest in the hiring of the son by the father and focus on the luxury 246 square metres apartment that, according to their income declarations, (for example, here, here and here) would have been hard for the Rogozin’s to afford. If we took Dmitry Rogozin’s salary in 2012, which was 6,600,600 rubles ($100,000) it would have taken him 65 years to afford the apartment. The story involves off-shore companies, nominees and a well-connected British businessman, Peter Levine, who is the ex-brother-in-law of the elder Rogozin (the ex-husband of the sister of Rogozin’s wife) and involved in companies connected to Rogozin, including Minimal Technology Ltd, registered in London. In 2006 there was a change at the top of the Homeland Party, which Dmitry Rogozin used to lead. He stepped down in favour of Alexander Babakov. Coincidentally, at that time Minimal Technology Ltd, received a large cash infusion. Then the company was transferred to the control of Pavel Cherenkov, long-term partner of Alexei Rogozin. 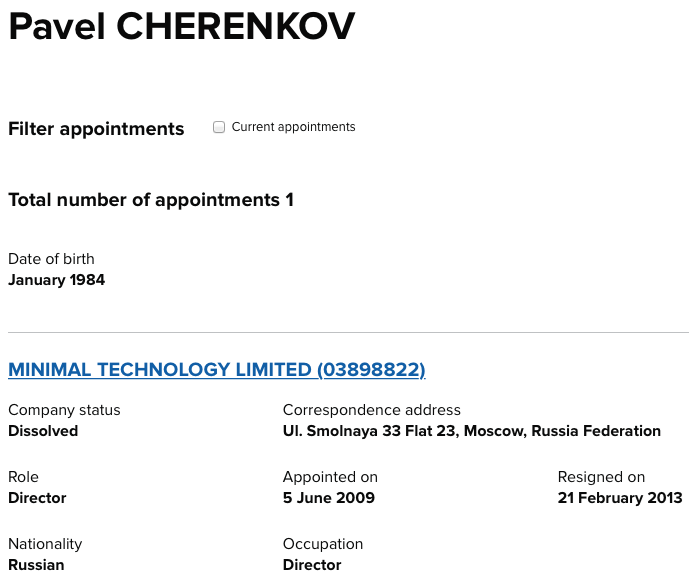 We found the information that connected Babakov (through his partner Alexander Garese) to Rogozin and Minimal Technology Ltd. by searching open access databases, like Companies House in the UK and Russian Rosreestr data base. Transparency International UK helped us understand the connections between the people in Minimal Technology and people who worked with Rogozin. There are a complex series of ownership structures of apartments owned by Minimal Technology that were also linked to Rogozin. We alerted the National Crime Agency in the UK and the Russian Tax authorities on 26 April this year about these companies. We asked them to check whether these deals are part of a European anti-money laundering schemes that also are linked to Germany via a French national with offices in the UK and relationship with Russia criminal networks. So far we have no response. We also put this information to Dmitry Rogozin but have received no comment on the latest accusations. Previously he gave an interview on Russia radio denying all the allegations of corruption and claimed the luxury flat was his due as a public official. We know people in Russia are very interested in stories like this. The story was picked up widely and well-known activists like Alexei Navalny linked to our investigations. When we published the first story our website was attacked and this brought the site down for several hours but our second investigation was not targeted in that way. We plan to continue with these investigations. There are many politically exposed persons (PEPs) in Russia whose wealth is unexplained or hidden. The Panama Papers show that there are 12 Russian PEPs are involved in offshore schemes. These are red flags but they need more investigations to show what this means. We want to see a global public beneficial ownership register that will help end anonymous companies and the corruption and criminal activity enabled by them. We are waiting for the officials to answer our questions on the Rogozins. We want to know where the money came from to buy the apartment. We have our suspicions but the authorities need to investigate. We are an NGO; we are not law enforcement. Now it is up to the law enforcement authorities to show that they take these cases seriously. ← FIFA: another own goal?